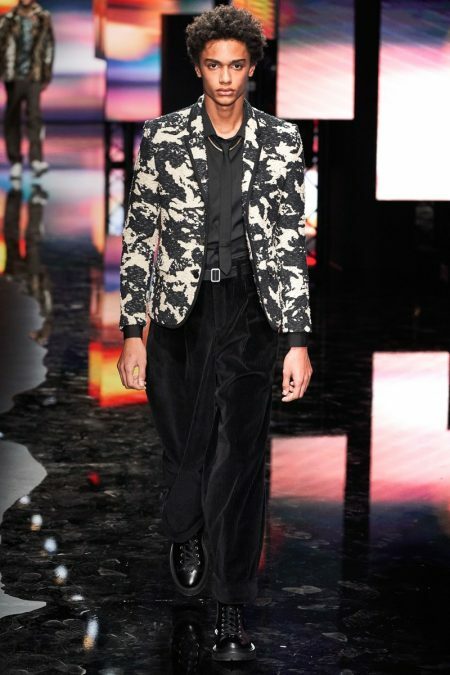 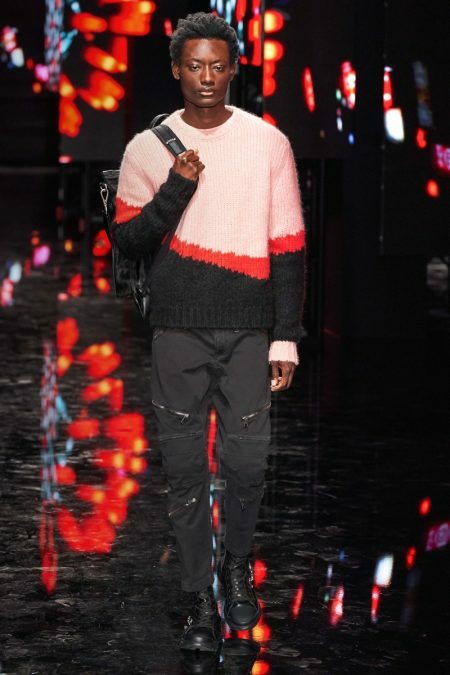 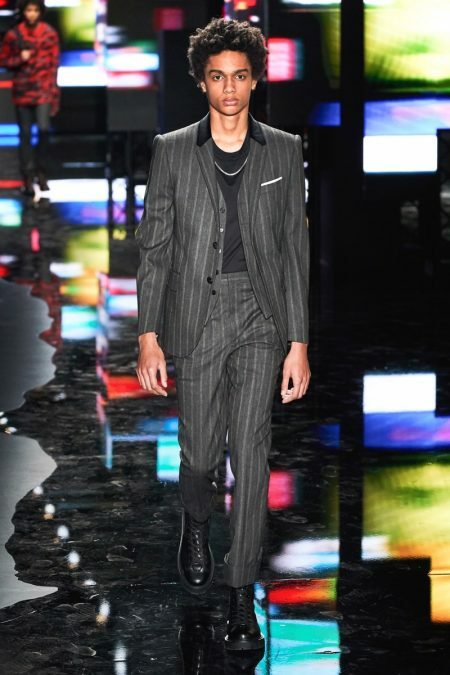 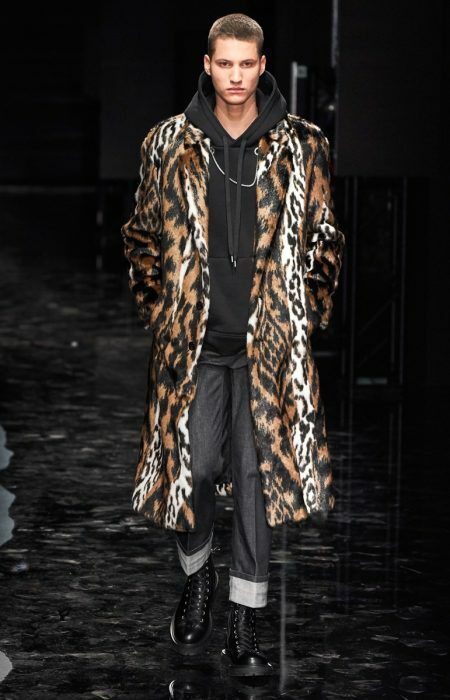 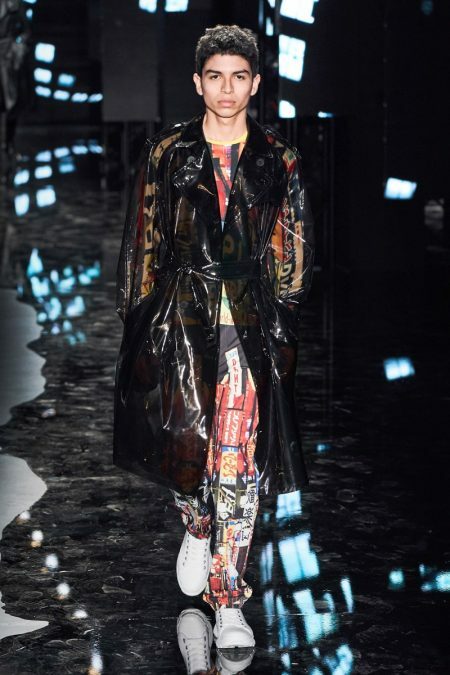 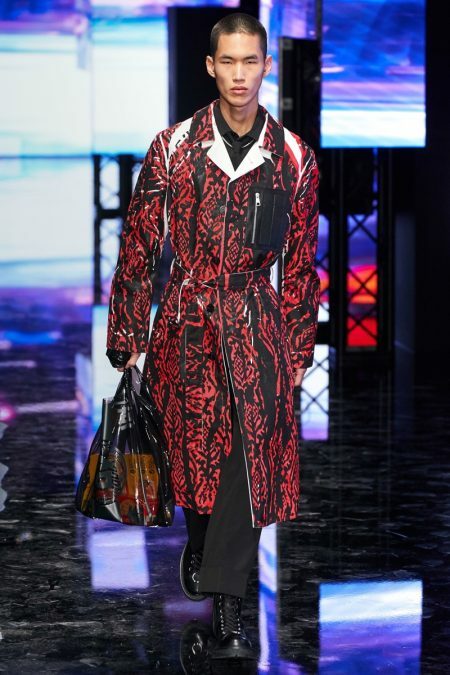 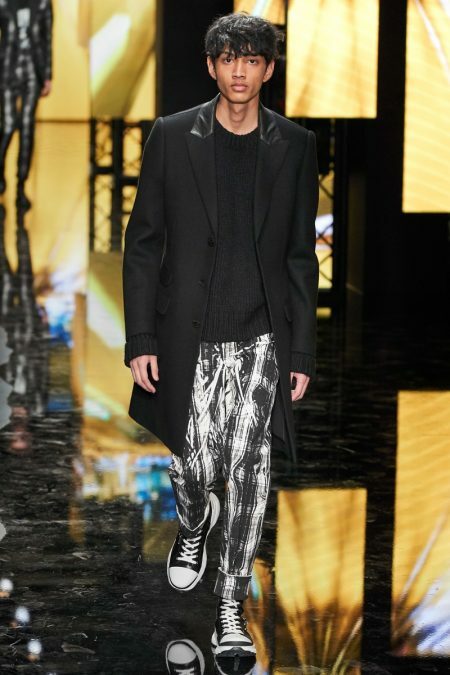 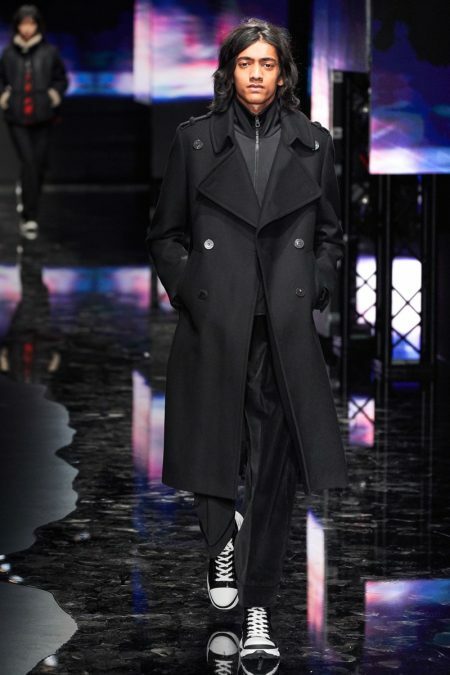 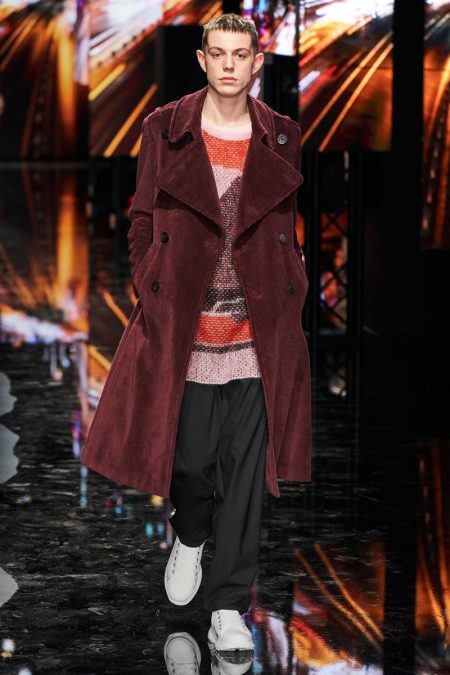 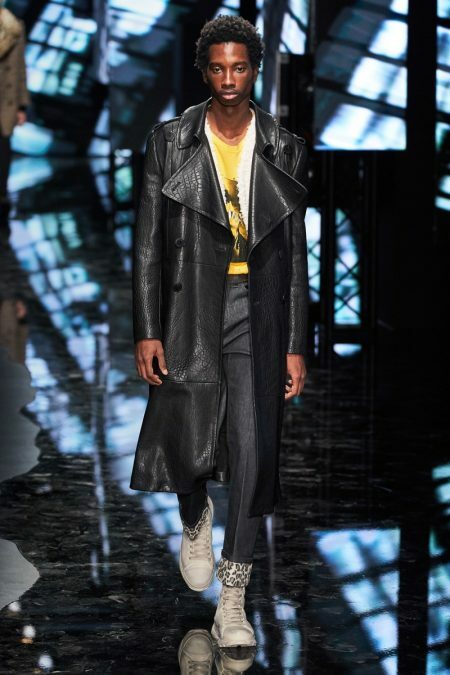 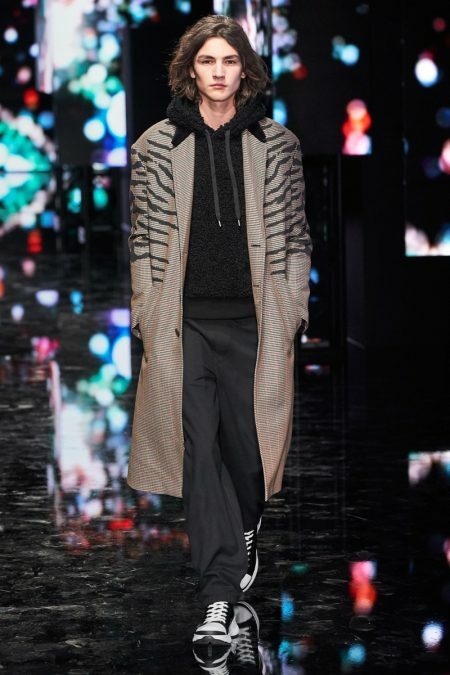 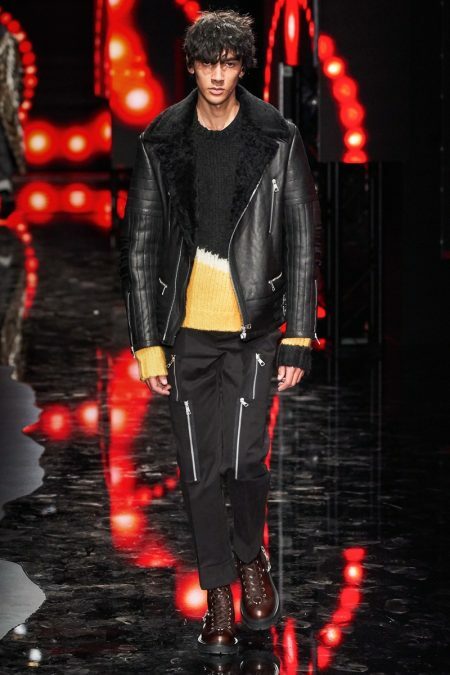 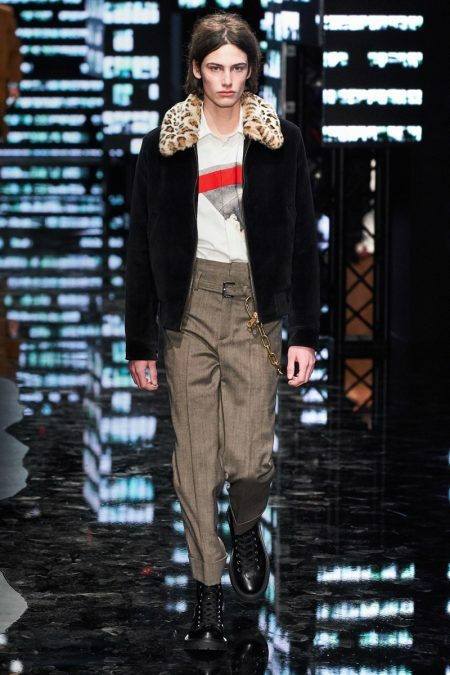 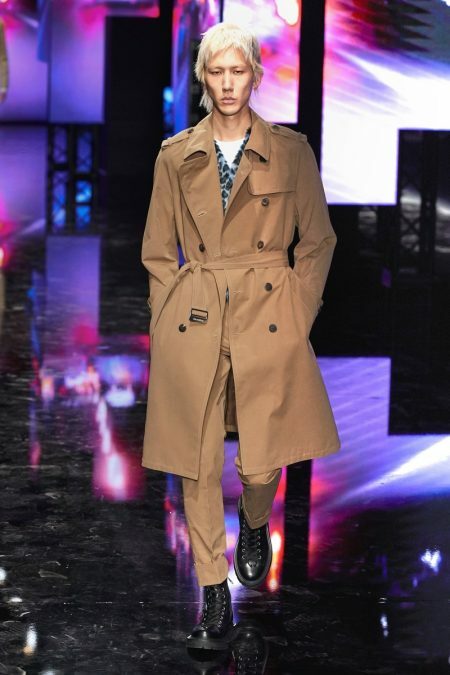 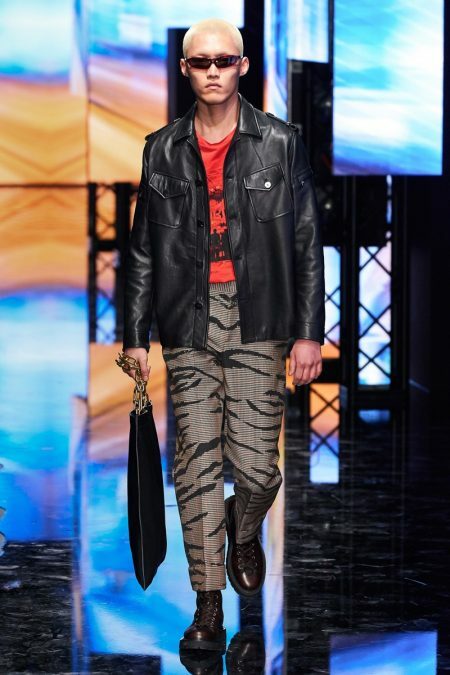 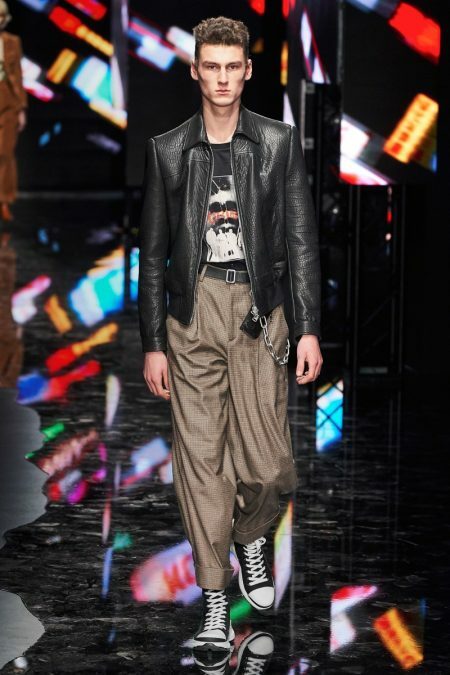 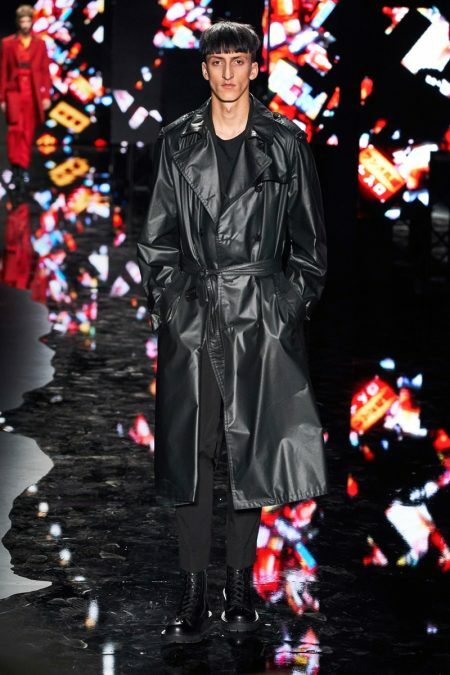 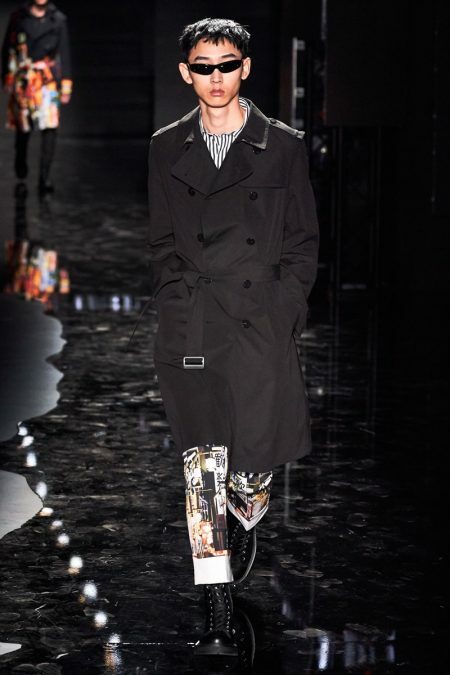 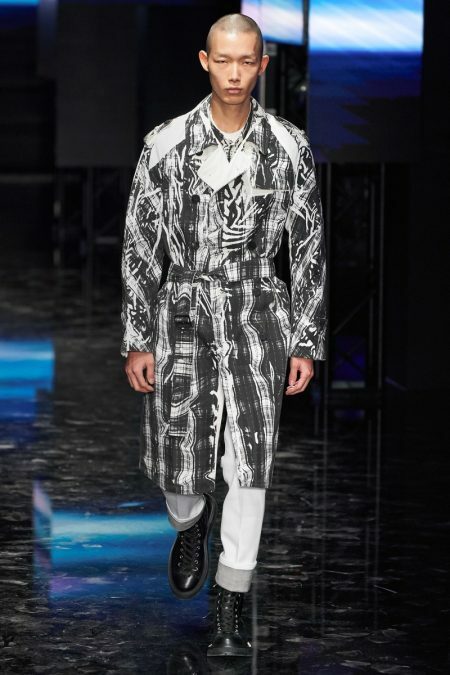 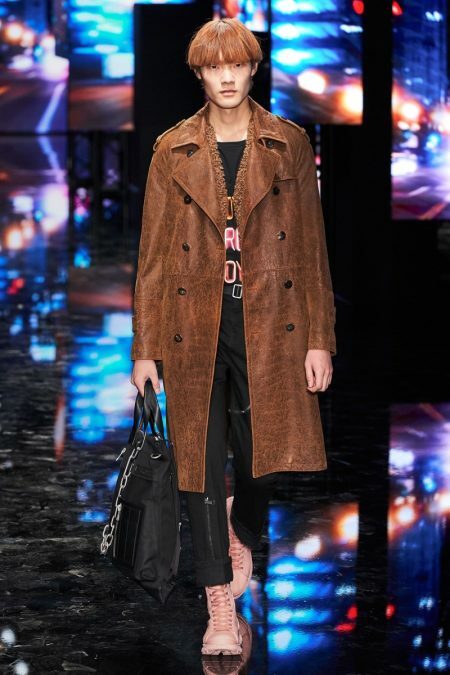 Neil Barrett fittingly rebels against his typical approach to menswear with a Tokyo punk-inspired theme. 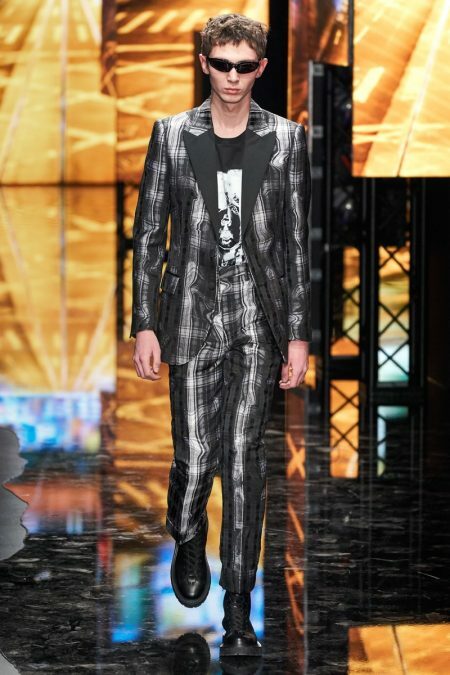 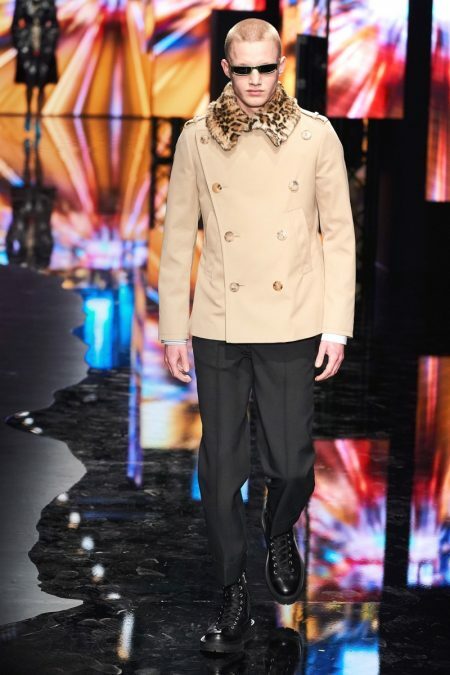 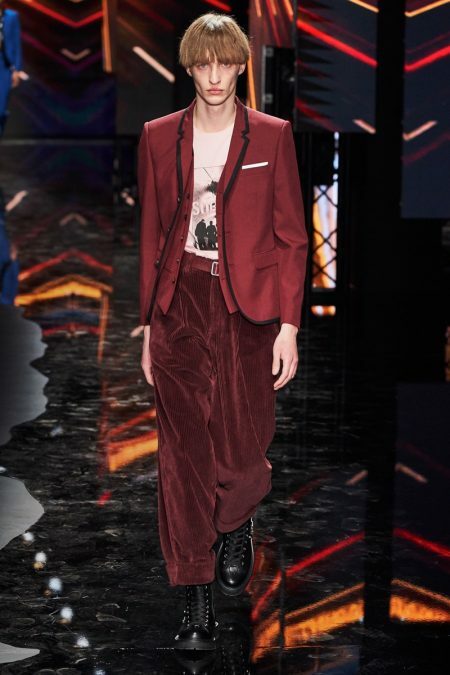 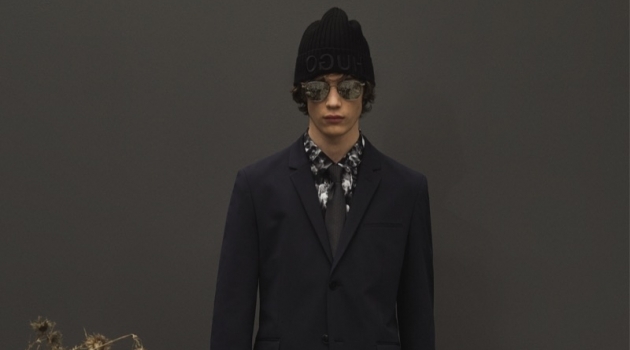 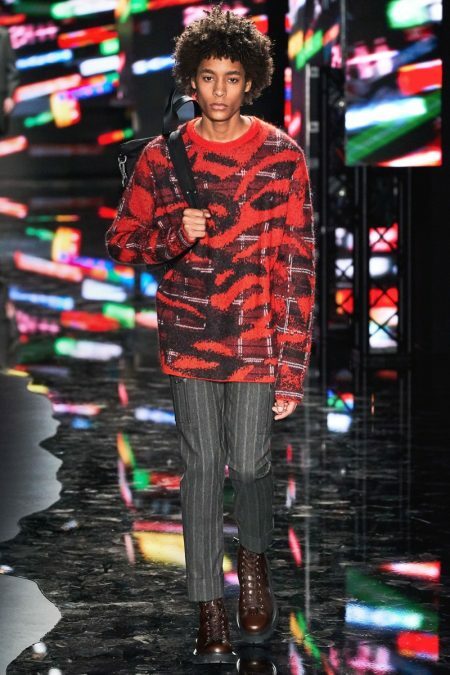 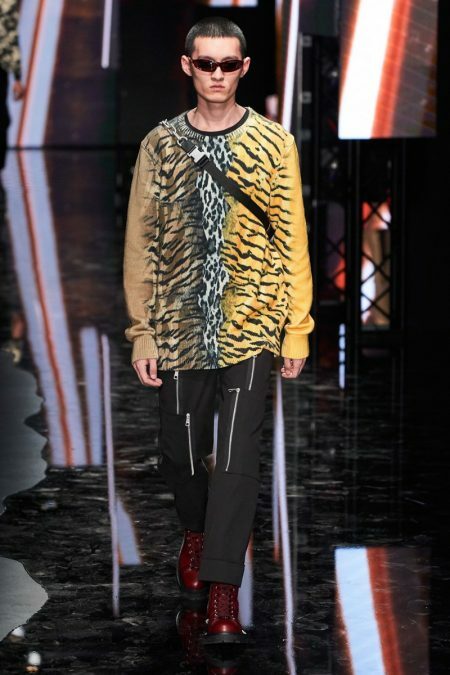 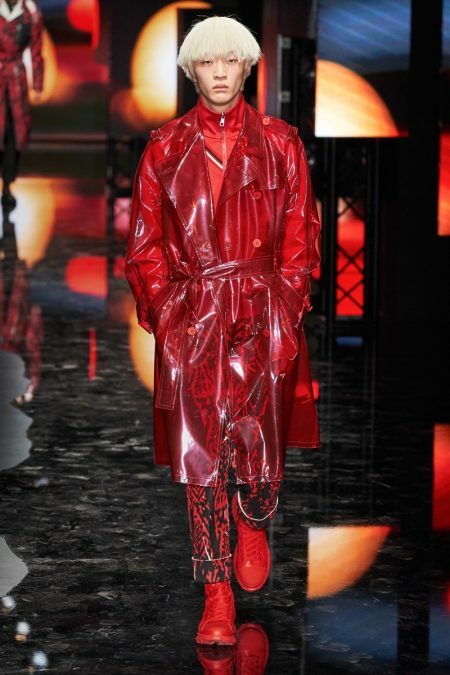 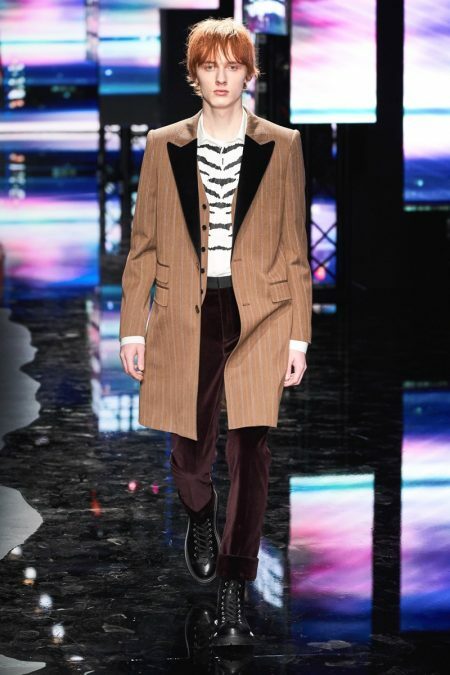 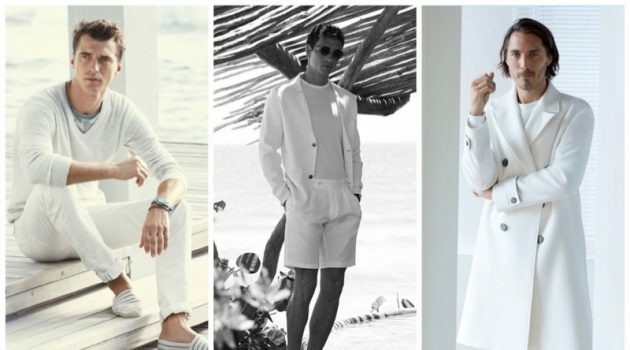 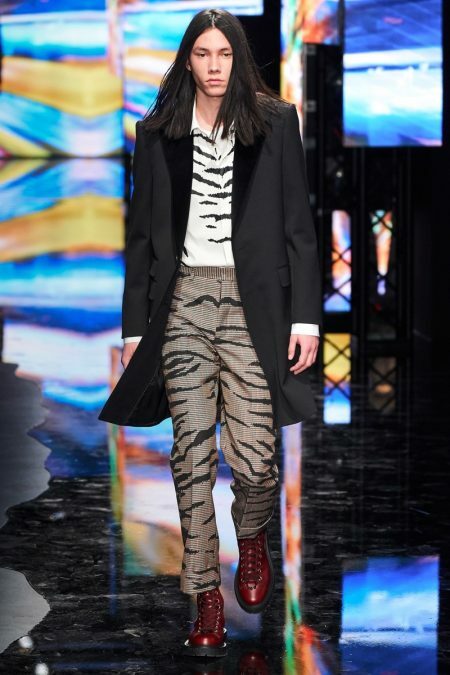 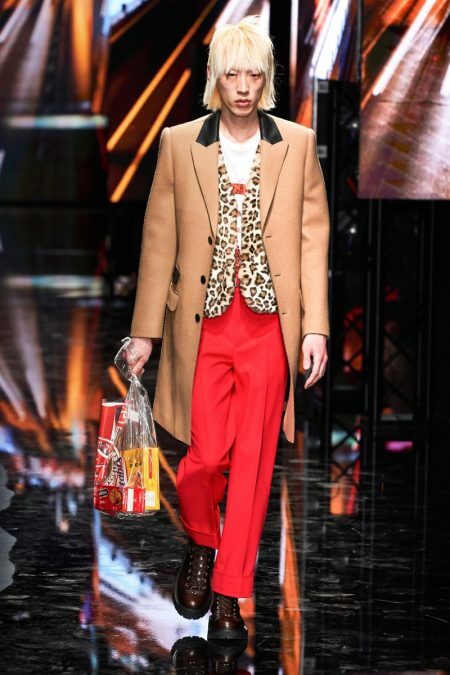 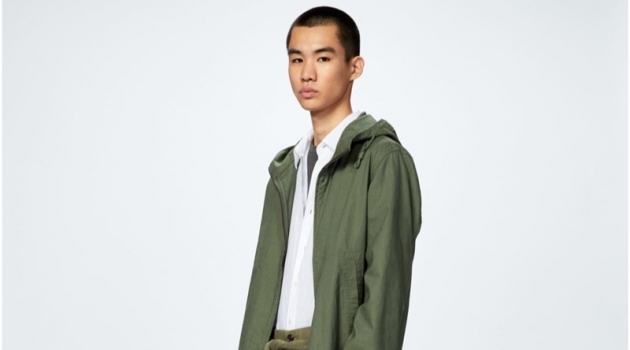 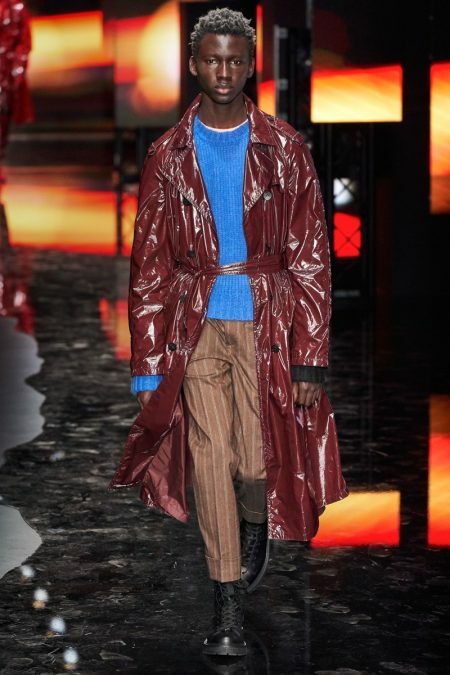 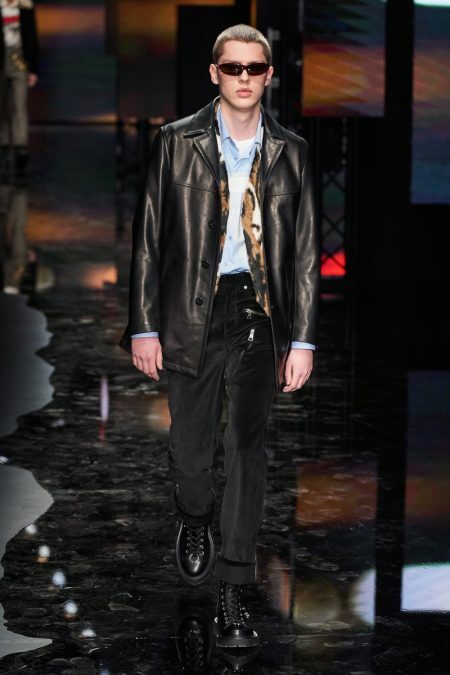 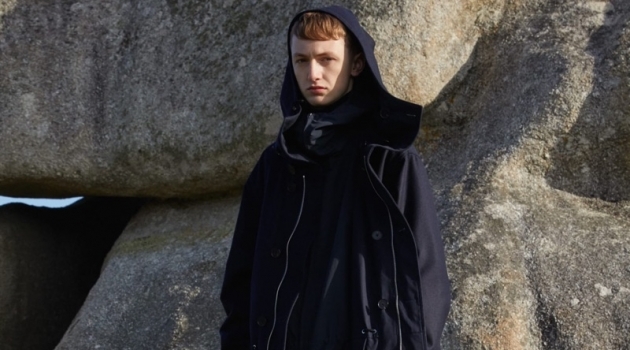 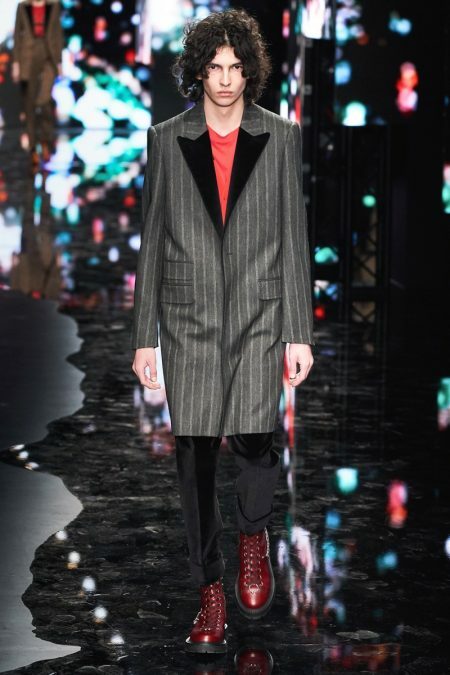 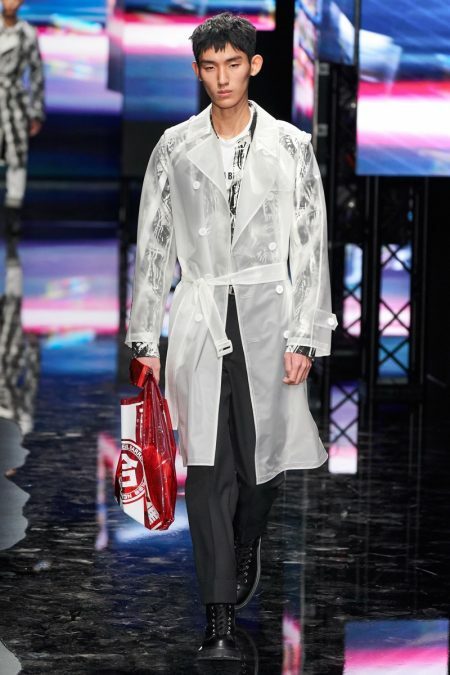 The British designer unveils his fall-winter 2019 collection, which marries sharp tailoring with bold graphics. 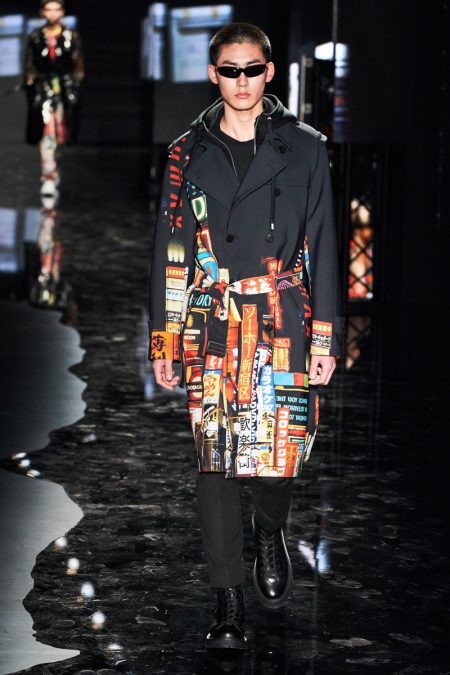 Key visuals bridge references from London to Tokyo. 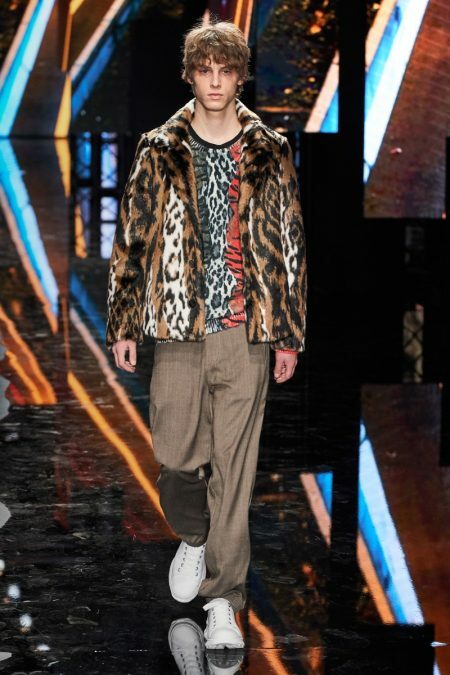 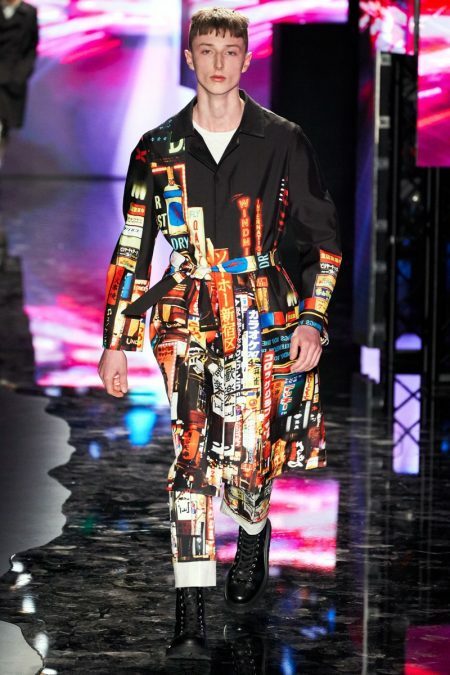 Cityscapes and animal prints collide with a youthful outing that finds the color in darkness. 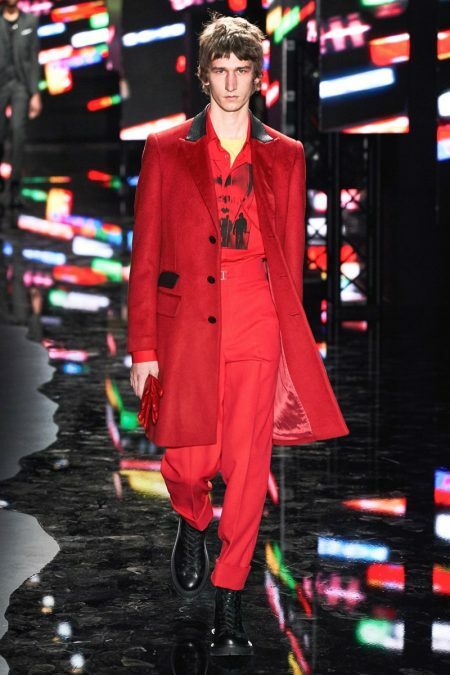 A color palette of red, black, and brown unfold with plenty of covetable pieces. 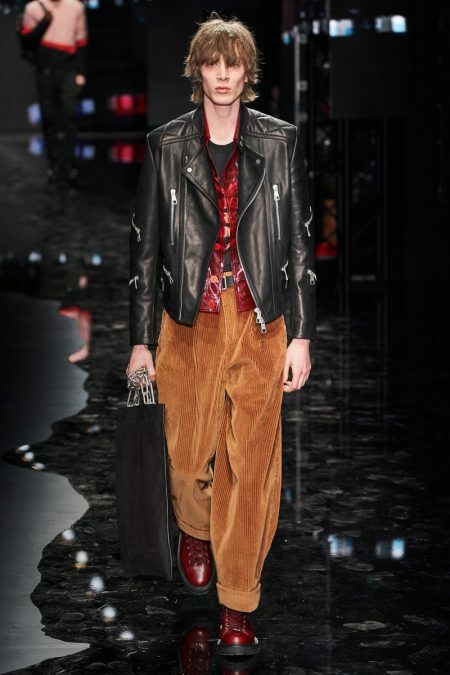 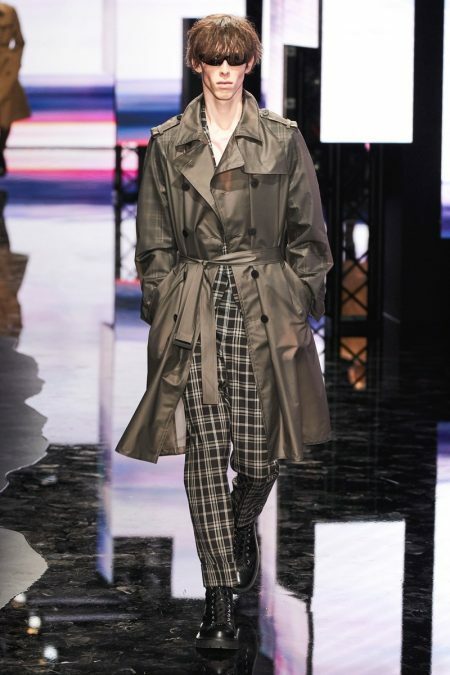 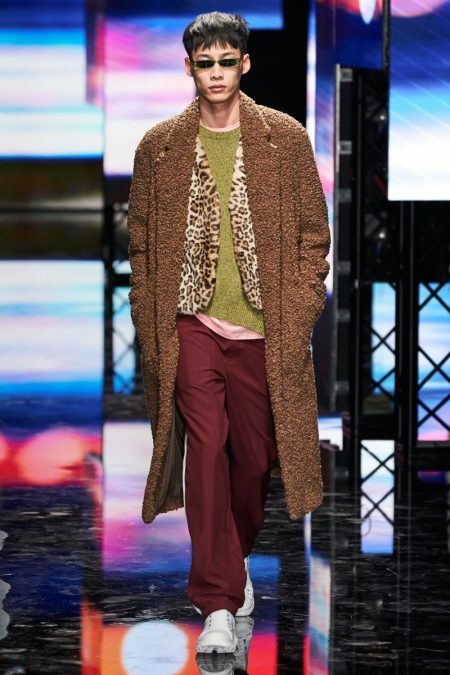 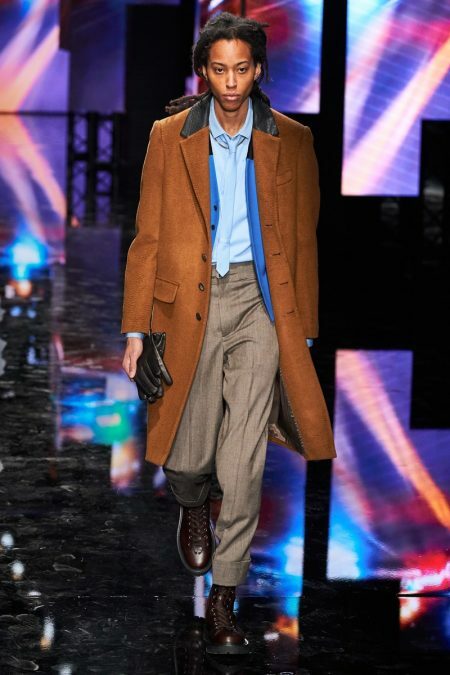 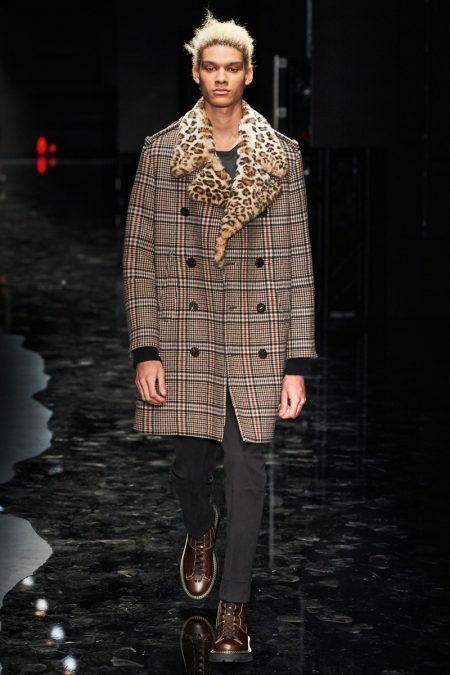 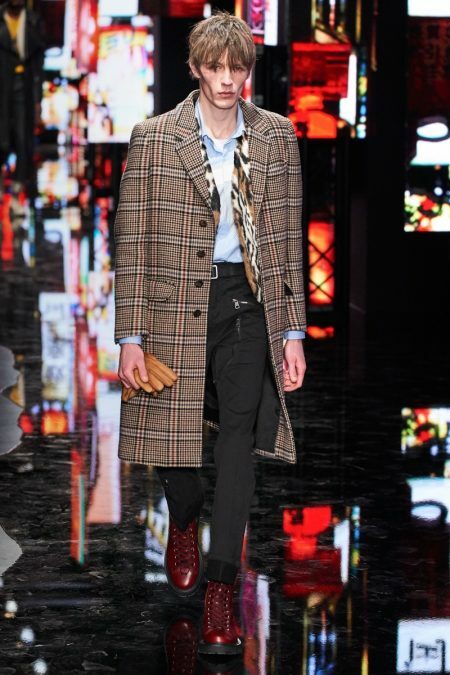 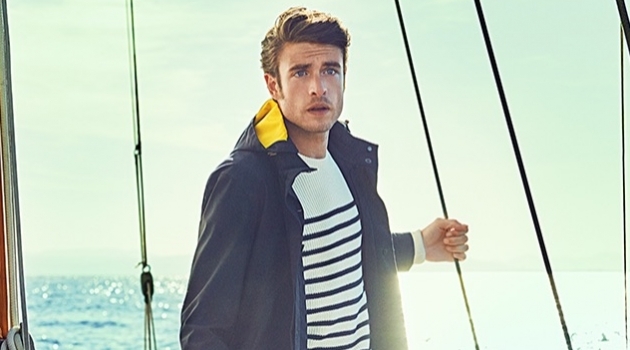 Barrett's lineup includes slouchy trousers, leather jackets, sheer coats, cheeky patterned sweaters, and elegant suits.